Alternative Armies: Sandworm codes released with free articles and offer! 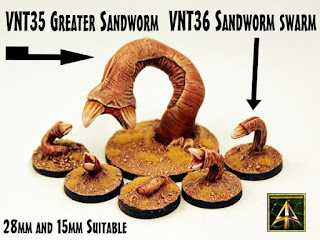 Sandworm codes released with free articles and offer! Looking at a desert dune or grabbing at things under the silica in a scuttling juice like way will have you discovered by Sandworms! Introducing a new designer to Alternative Armies we have two new packs by Kieran Billings. Use them in 15mm, 28mm and 6mm and we have them up on Alternative Armies HERE and on our sister site The Ion Age HERE...why? Well these are fantasy, current day and science fiction so they work everywhere. 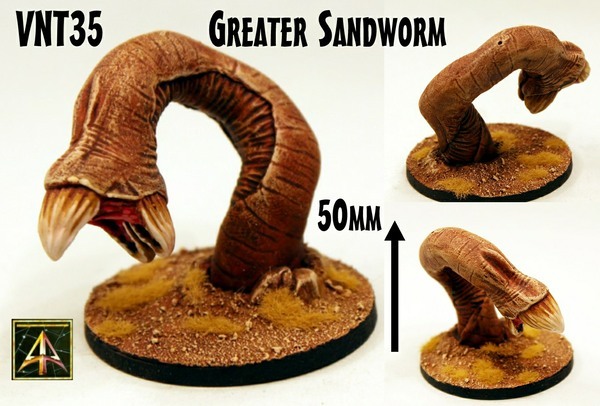 We have a pack of five Sandworms in five different poses and we have a single Greater Sandworm too. They are resin single piece miniatures and we have an offer on them of 10% off normal price until the end of this month! 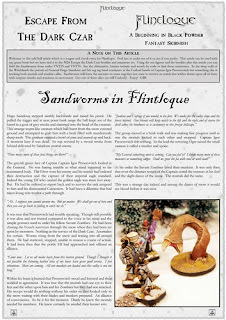 Lastly read on for details and for a link to the website for a free article for them in Flintloque and in Patrol Angis too. If you are a fan of Flintloque or Patrol Angis (or both of them as I know some of you are) you are in for a treat now. There are two new official free articles for using the Sandworms in your games. Click on the articles to download them from our websites. 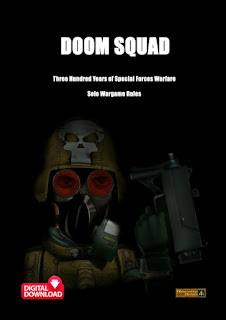 I had great fun writing them. Enjoy! In the deep cold of the Witchlands the pursuit of General Hugo Saindoux and his rag tag band continues at the Undead hands of Captain Igor Preserovitch but something else is tracking both mortals and zombies alike. Sandworms will force the enemies to come together just once to survive an attack that wishes doom upon all of them. 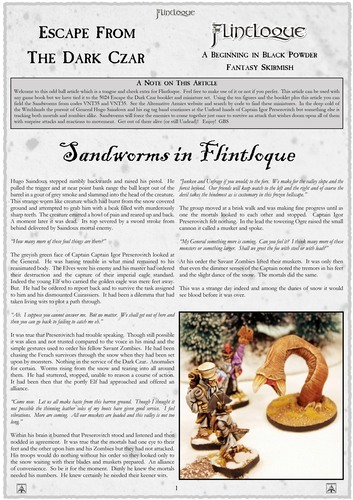 Add Sandworms to your games of Flintloque with surprise attacks and reactions to movement. Get out of there alive (or still Undead)! Click HERE to download from our website. 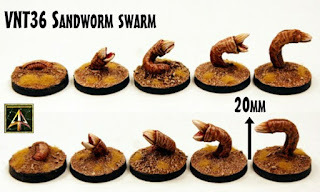 Head on over to The Ion Age BLOG for a post and article on Sandworms in games of Patrol Angis 15mm scale space opera. On the edge of the Dolo Clouds beyond the Mim stellar system sits the dim star called Ymel around which circles one hot planet; Ymel Prime. Chasing a solitary Dragon Ship a small contingent of Prydian Army troops crashes on the planet after successfully shooting down the Khanate enemy. Both sides are now trapped on Ymel Prime in the blazing sun. A dead world...or is it? 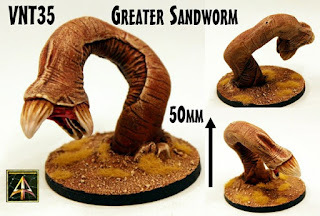 Add Sandworms to Patrol Angis with prey seeking mechanics and solo random appearances.